If you've ever been or were always curious what it was like to visit the Virgin Islands, check out my vacation video taken with GoPro. We recently got a GoPro Hero 4 camera so I've been having some fun putting together short videos. This is from a recent weekend at my parents' lake house in Bumpass, Va.
And, there really was a snake in the water. We went to St. John last month and that video is coming soon. The only way to learn something new is to play with it and experiment. Yesterday is was with the GoPro Hero camera in our backyard pool. Love you can see the ball in the top corner. 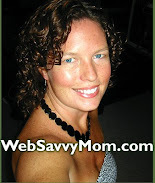 A 30-something "Web Savvy Mom." Click on my picture to learn more about me and the cast of characters featured on this blog. This blog is my personal online accounts of things that happen in my life as a working mother, wife and friend. What you will find: stories, pictures, snarkiness, sarcasm, humor. What you will not find: contests, giveaways, cure for cancer, perfect grammar. Back to the NICU we go! Oh the Urbanity I Sea!